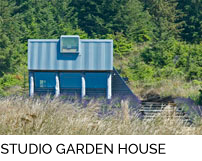 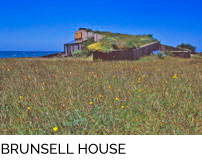 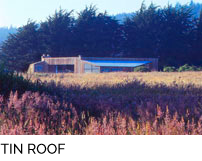 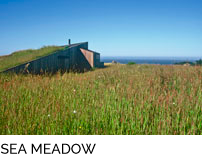 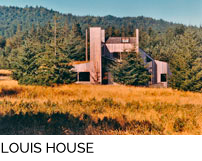 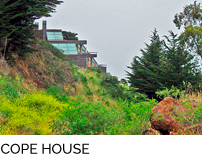 Site: A bluff top lot at The Sea Ranch with primary coastal views to the north and secondary coastal views to the south. 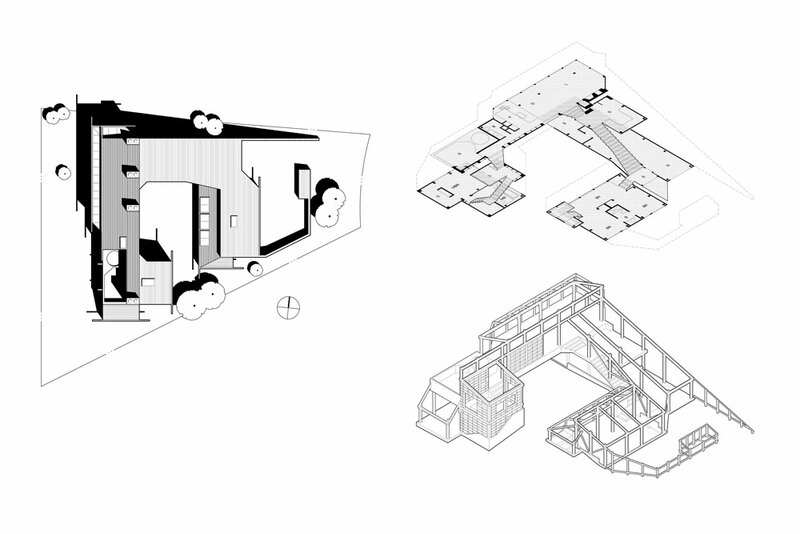 Program: A three bedroom house with office, library, two car garage, darkroom, and courtyard. 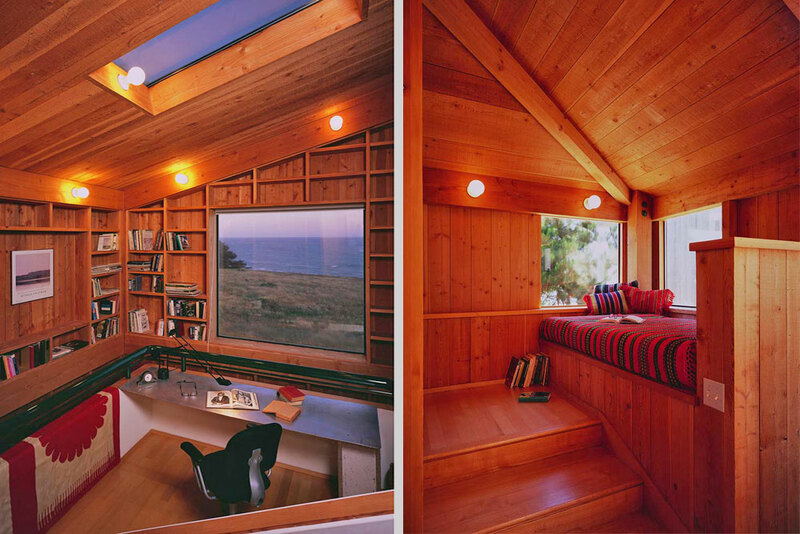 Solution: This 2655 sq. 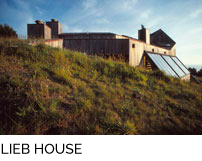 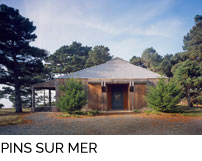 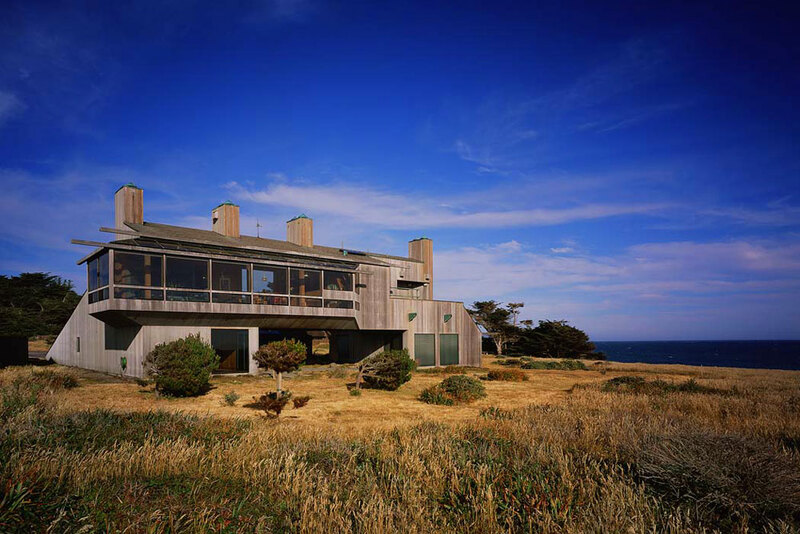 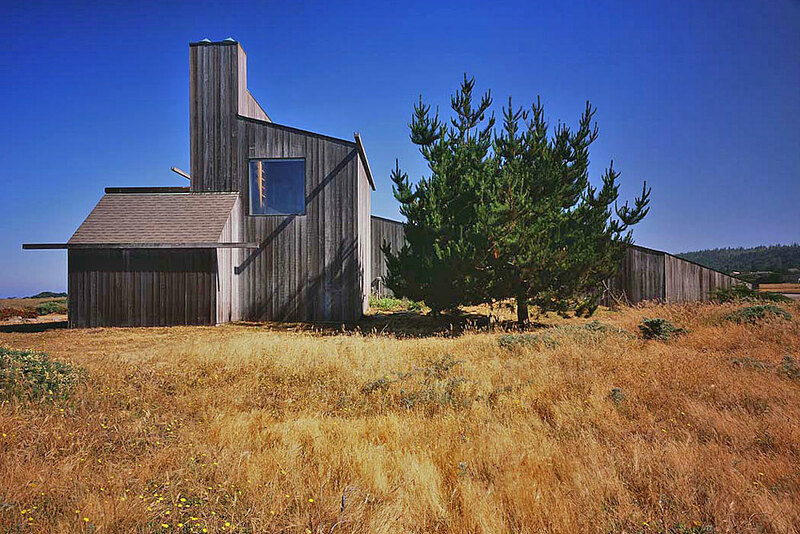 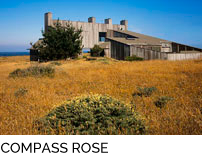 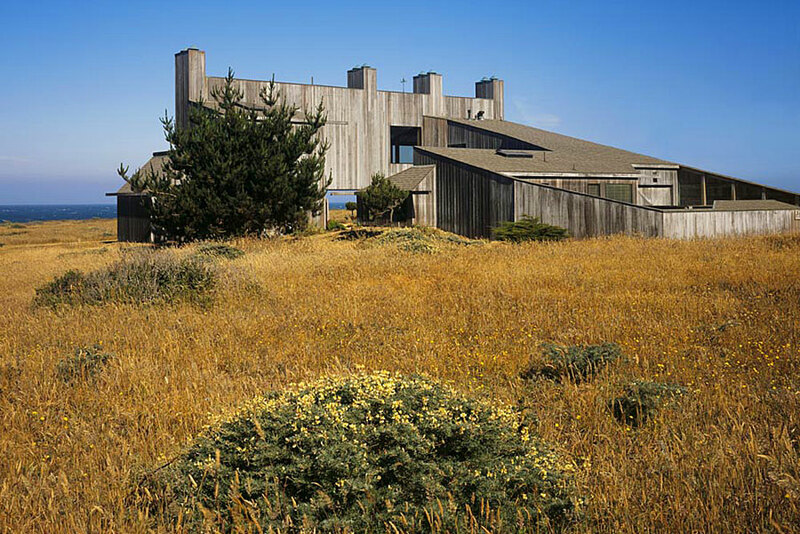 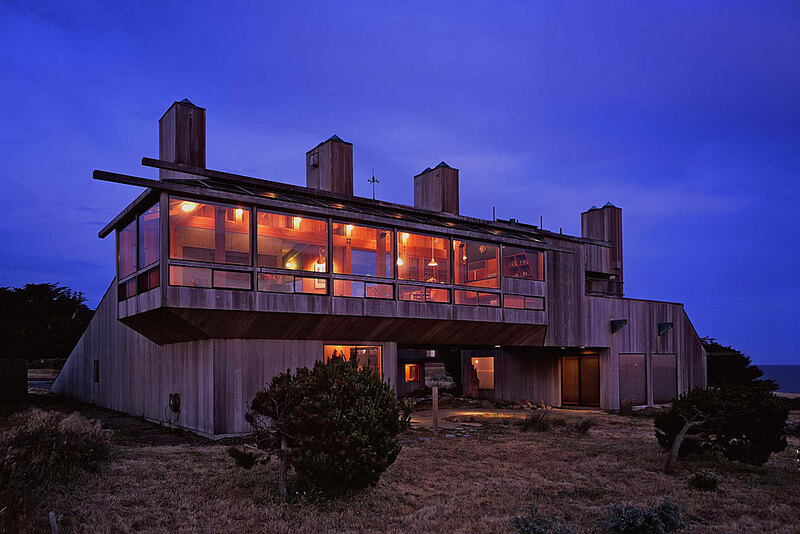 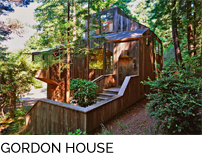 ft. (heated space) heavy timber framed house bridges over the west side of a wind-protected courtyard to allow ocean views from the first floor bedrooms and sitting room on the east side. 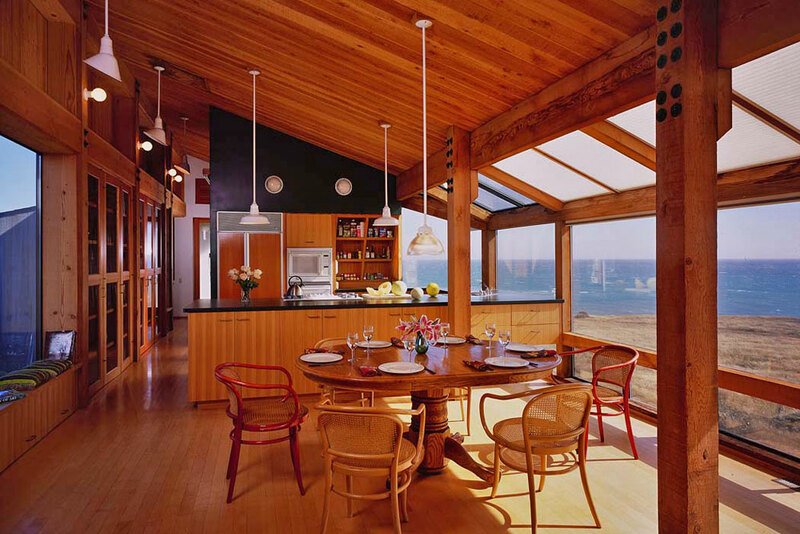 A long corner solarium captures panoramic views and sunlight while extending the living/dining/kitchen areas toward the ocean. 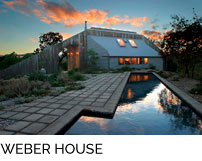 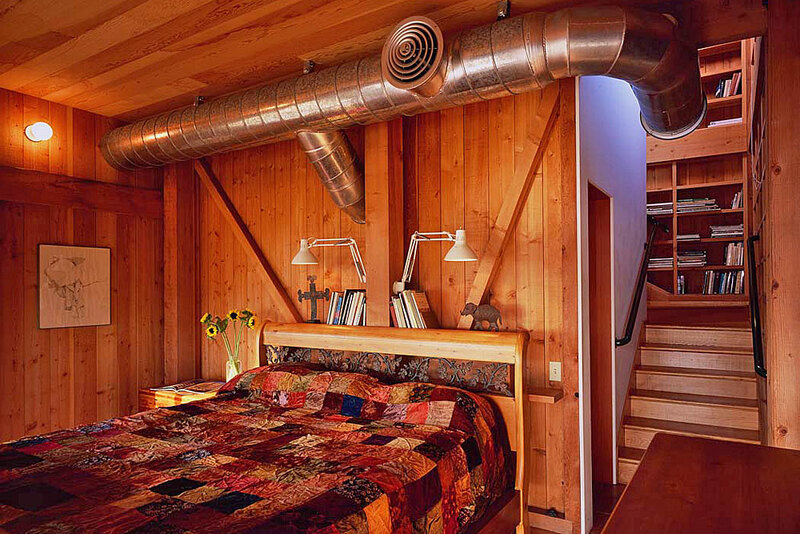 Natural ventilation and cooling are provided via an array of automated air in-take vents and thermal exhaust chimneys. 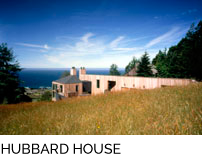 CONSTRUCTION: The exterior walls are comprised of 8×8 with horizontal 4x girts bolted to their outside face at no greater than 8 ft. on center. 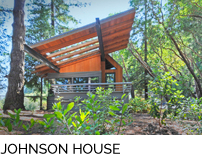 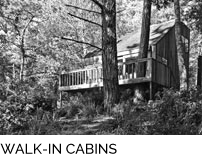 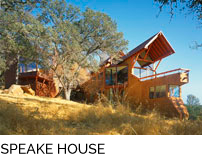 Vertical T&G decking spans between girts with shear plywood, insulation, and redwood siding fastened to their outside face. 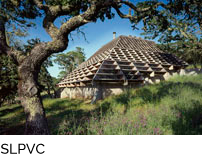 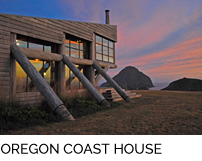 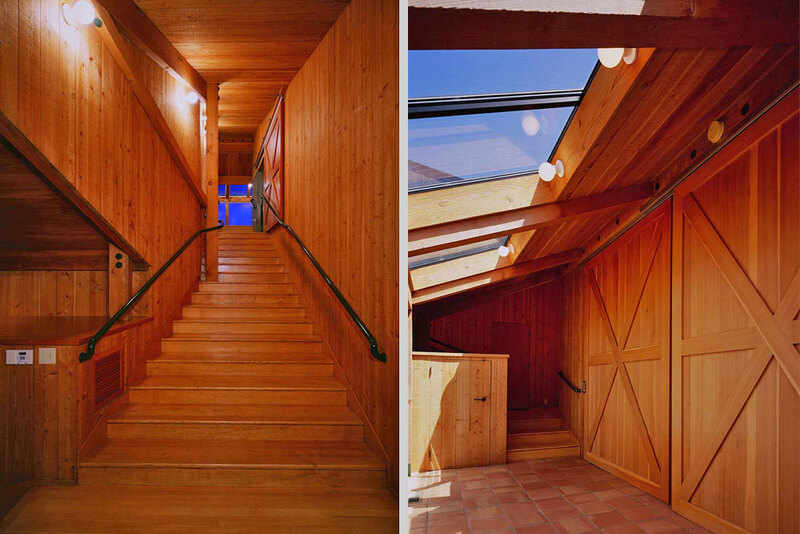 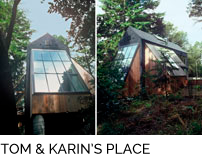 The roof construction is similar and the end result is a wooden interior highly expressive of its structure and construction. 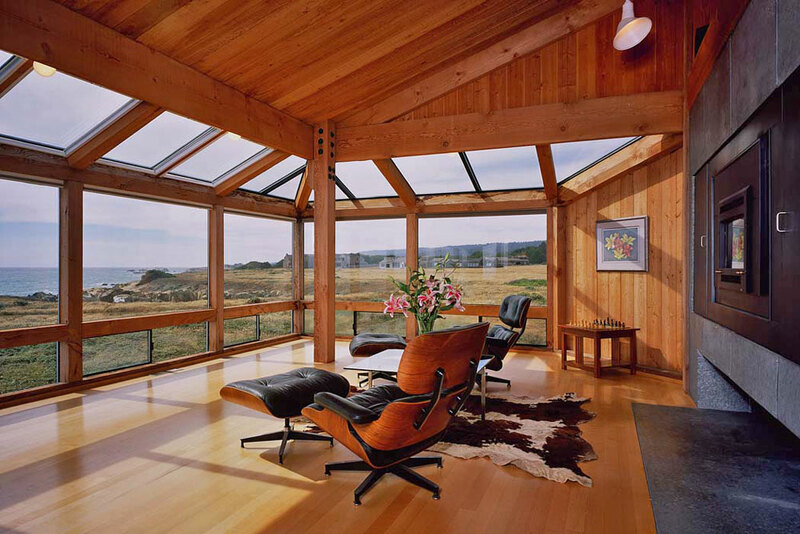 All interior wood is Douglas fir, except all wood floors are red ash. 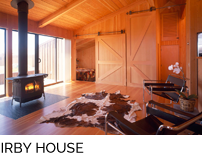 Floors on grade are exposed concrete or sun dried Mexican pavers and interior walls are conventional stud framed with a painted gypsum wallboard finish.